MB: There has been tremendous turmoil in the European Union recently and Italy is among the countries experiencing significant economic difficulty. How is this affecting the Italian eyewear industry? CM: Italy is experiencing a very difficult situation but it’s not as bad as it might be for (eyewear) manufacturers. These companies export more than 90 per cent of their production and, in the first six months of 2013, Italian (eyewear) exports increased by more than five per cent. So, despite the recession, their situation is better than (that of) other Italian industries. MB: What motivates you to get up every morning and go to work on behalf of Italy’s eyewear industry and MIDO? CM: At the end of June, I was re-elected president of ANFAO and MIDO for another four years. My colleagues and I are working together to give the market what it wants. We must show that we can do more for ANFAO on one side and for MIDO on the other. MIDO is still the world’s most important eyewear show but we need to offer something new every year. That is what motivates me. MB: MIDO 2013 was a great success, with an increase in visitors and exhibitors. What were the keys to that success? CM: We set up a train that brought opticians from central Italy to the show. It was a great success, with almost 600 opticians, representing almost eight per cent of Italy’s opticians, in attendance. Next year, with the MIDO train continuing, we think we can attract even more opticians, despite the recession in Italy. 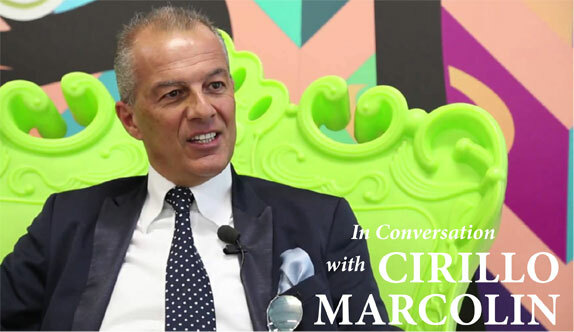 MB: Will MIDO participate in Milan’s Design Week again in 2014? CM: Yes. Two-thirds of MIDO’s participants come from outside Italy and we need to offer them something new. The idea with Out of MIDO was for companies to sell directly to consumers. That’s why it was good to participate in Design Week last April. In 2014, the format for Out of MIDO will be nothing like MIDO. It will be more in line with Design Week, with more creativity and innovation. MB: Is there anything else planned for Mido 2014 that you’d like to share with our readers? CM: Our job is to look ahead three to four years. We want to work more closely with the city of Milan, which is a world fashion leader. We can showcase shoes, bags, etc., along with eyeglass frames and sunglasses. It may not happen next year but Expo Milano is taking place in 2015, and that will create lots of opportunities. MB: Thank you for this.